With last year's publication of his New York Times bestseller The Company, Robert Littell reestablished his position as one of our top writers of intelligent, ironic, and always entertaining espionage thrillers. After many years The Amateur, a cult classic among aficionados, is finally available again as Overlook republishes Littell's best. In this "first-rate thriller" (Chicago Tribune), Charlie Heller is an ace cryptographer for the Company. He's a quiet man with a quiet job in a back office. But when terrorists shoot his fiancée in cold blood and Heller learns that the Agency has decided not to pursue those responsible, his life takes an abrupt turn. He was not a blackmailer but he will force the CIA's hand. He was not an assassin but he will penetrate the Iron Curtain with the intent to kill. Driven by an obsessive need for revenge, targeted for elimination by the CIA itself, Heller is an amateur with a one-in-a-million chance of success. 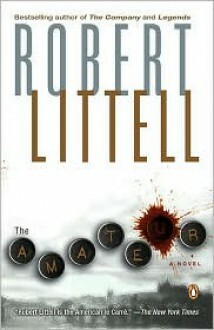 Author Biography: Robert Littell is the bestselling author of thirteen novels, published in twelve languages around the world. His most recent, the New York Times bestseller The Company has just been published in paperback by Penguin. A former Newsweek journalist, Robert Littell was born in New York.